Biaxially Oriented Polypropylene or BOPP Tapes are coated with acrylic based adhesive in different micron (GSM) coating and thickness. Available in different colours, these BOPP tapes are used in carton box sealing and for stationery purpose. We are leading manufacturer of world class range of BOPP Packing Tapes that are manufactured with the premium grade of basic material that is stringently checked by our quality controllers. 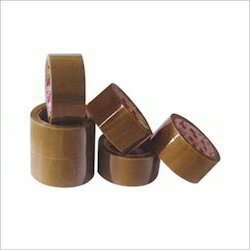 We can offer them to meet the demands of OEM and we largely deals with delivering in jumbo rolls.